UNESCO was born from a questioning process on the possibility of and necessary conditions for the establishment of long-term peace and security in the world. It is therefore an institutional response to a philosophical question, one that had already been asked by the Abbé de Saint-Pierre and Emmanuel Kant. And, one could also declare that it is a philosophical institution, since it intends to contribute to maintaining peace and security by heightening collaboration between nations through education, science and culture in order to ensure the universal respect of justice, of the law, of human rights and fundamental liberties for all, regardless of race, gender, language or religion, that is recognized for all people in the Charter of the United Nations. This end goal involves the recognition and implementation of a certain philosophy of law, of human rights and of universal history through means that are also philosophical. But it is better to say that UNESCO does not have a philosophy in the literal sense of the word since it wants to be a privileged place for exchange and dialogue on the pluralism of experiences of thought and of world cultures. One could then state instead that UNESCO is a philosophy. And it is possible to tell the story of this philosophy. Indeed, UNESCO has always used the memory of its traditions to reinvent its present and remains loyal to its Constitution. It deserves credit for strengthening our commitment to revitalizing this tradition and to contributing, by all possible means, to popularize an international philosophical culture. I want our Social and Human Sciences Sector to be a true laboratory of ideas and of anticipation as well as an international place for research, reflection, exchange, and the drafting of principles, of norms and of policies in the fields of forecasting, social and human sciences, philosophy, human rights and the ethics of science and technology. We must try to harness the strength of ideas in order to influence social transformations. On this path, the “philosophical detour” – expression borrowed from Jeanne Hersch in her famous study on human rights from a philosophical point of view, undertaken at the request of UNESCO – is called for every day, and today more than ever. In 2005 and for the first time in its history, UNESCO adopted an Intersectoral Strategy on Philosophy, aiming to establish an institutional framework for its programme in favor of this key discipline in the Social and Human Sciences Sector. This Strategy proved necessary in view of the increasing amount of activities in this field implemented in close cooperation with Member States and a broad number of institutional partners, particularly since the launching in 2002 of the celebration of Philosophy Day at UNESCO. It is upon the initiative of Turkey that the project of a strategy concerning philosophy was submitted to the Executive Board of the Organization. During discussions held on this topic at the 169th session of the Executive Board, a great number of its members insisted on the importance of this programme unique within the UN system and essential for the action of UNESCO in its capacity as ‘intellectual and ethical conscience’ of the United Nations. The representatives of Member States put forward the necessity to reflect together on the formulation of a strategy integrating simultaneously dialogue and philosophical analysis, the encouragement of the teaching of philosophy, the promotion of philosophical thinking and research, all of them reflected in the three pillars of this Strategy. This Strategy is thus an outcome of a process resulting from broad consultations, numerous debates and exchanges about the priorities that UNESCO must consider for the promotion of philosophy. During two years, Permanent Delegations to UNESCO, National Commissions for UNESCO, more than 500 NGOs, 600 universities and 150 philosophers and eminent personalities from the field of philosophy were invited to express their opinion on the Strategy and to contribute to it. The Strategy will be implemented in particular within the framework of Major Programme III, in cooperation with other concerned programme sectors as well as National Commissions for UNESCO. Special efforts will be made in order to mobilize the extra-budgetary funds necessary for its implementation. Being essentially a place for exchange and encounter, UNESCO is well positioned to reflect that ‘yearning for philosophy’ mentioned by Mr Koïchiro Matsuura, UNESCO’s Director General, at the opening of Philosophy Day on 18 November 2004. This expression conveys the growing interest for this discipline expressed by young pupils and students sensitive to the problems and challenges arising for humanity today. 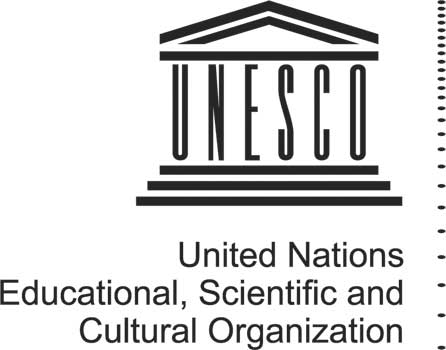 Since its inception, UNESCO has endeavored to create a space of debate for all thinkers. One of the major concerns of the Social and Human Sciences Sector is to act as an interface providing philosophers the possibility to establish cooperation frameworks between them in all regions of the world, in terms of university exchanges particularly in the field of research, but also in terms of enrichment and mutual comprehension. The Intersectoral Strategy on Philosophy aims precisely at conveying this dynamic into concrete activities that will boost cooperation and the reciprocal enrichment between philosophers of various regions of the world. Three main pillars of action were thus identified in order to respond in a more appropriate way to the expectations of philosophy experts and advocates of this discipline: (i) The promotion of dialogue and philosophical analysis of contemporary questions, a pillar whose priority is the establishment of networks among philosophers, as well as a large public disclosure of the key outcomes of reflection that should influence major decision making in today’s societies, such as the concepts of justice and citizenship, the ethical requirements in the field of sciences or the evolution of the history of philosophical ideas, (ii) The encouragement of the teaching of philosophy whose crucial role for the development of a free and well informed thought must constantly be underlined, as well as the rigor in the teaching of this discipline in order to guarantee philosophy’s total independence and relevance, and (iii) The promotion and dissemination of philosophical knowledge in order to make sure that philosophy is accessible to all. By adopting this Strategy, UNESCO’s aim was to put together the programmes developed in this field in a coherent and methodological framework that would follow an integrated and intersectoral procedure aimed at tackling the greatest number of problems challenging the world today. Moreover, UNESCO’s Intersectoral Strategy on Philosophy promotes philosophy itself as a true exercise of freedom. It is the duty of philosophy to extend beyond its own field in order to enlighten all other disciplines as much as possible, thus contributing to the refining and renewal of the analysis of world problems and ongoing changes in all societies. This document contains the UNESCO Strategy on Philosophy, prepared at the request of the Executive Board of UNESCO at its 169th Session (ref. 169 EX/39 Rev.). The Strategy includes three Pillars: i). Philosophy Facing World Problems, ii). Teaching Philosophy in the World, iii). Promotion of Philosophical Thought and Research. The Strategy is to be presented at the Executive Board at its 171st Session (Spring 2005). The importance of philosophy to the work of UNESCO is evident, since philosophical analysis and reflection are undeniably linked to the establishment and the maintenance of peace, the core mission of the Organization. By developing the intellectual tools to analyze and understand key concepts such as justice, dignity and freedom, by building capacities for independent thought and judgment, by enhancing the critical skills to understand and question the world and its challenges, and by fostering reflection on values and principles, philosophy is a `school of freedom'. The necessity of a Philosophy Programme at UNESCO was underscored from the very inception of the Organization. One of the tasks proposed for UNESCO in 1946 by the Preparatory Commission of the first General Conference of that year was for a Philosophy Programme to “imbue the public mind with a certain number of philosophical and moral notions to be regarded as a minimum equipment, and which are calculated to reinforce a respect for human personality, a love of peace, a hatred of narrow nationalism and the rule of brute force, solidarity, and devotion to the ideal of culture”. Philosophy, then, can also be considered a school for human solidarity. The importance of philosophy was re-affirmed in February 1995, when philosophers gathered in Paris to adopt a Paris Declaration for Philosophy (Attached as Annex II). It was stated that all individuals everywhere should be entitled to engage in the free pursuit of philosophy, and that the teaching of philosophy should be maintained or expanded where it exists, introduced where it does not yet exist. Moreover, it was stated that the knowledge of philosophical insight in different cultures, and their comparison, as well as the analysis of their commonalities and differences should be supported. UNESCO interprets philosophy in a wide sense of instilling independent thinking for individuals. Philosophy is at the heart of human knowledge, and its scope is as wide as UNESCO's own fields of competence. The major issues dealt with by the Organization, such as education for all, cultural diversity, the ethics of science, human rights, knowledge societies, democracy, and intercultural dialogue, need to have a solid philosophical foundation and analytical and conceptual rigor. Critical analysis of the concepts, norms and standards implied in the major programmes of UNESCO is necessary to enhance the effectiveness and relevance of the activities. The UNESCO Philosophy Programme has always aimed to foster philosophical dialogue and mutual learning of philosophical trends. The present document presents a long-term Strategy for the UNESCO Philosophy Programme, and aims to give coherence to the activities of the Programme. It is the result of a two-year consultation process in which all Permanent Delegations to UNESCO, every National Commission for UNESCO, 500 NGOs and 600 Universities, as well as approximately 150 independent philosophers and eminent personalities were invited to give comments and suggestions. Organize events to promote philosophy. Particular efforts will be made to mobilize extra-budgetary funds for the implementation of the Strategy. Capacities of National Commissions of UNESCO to carry out the Strategy enhanced. These three pillars are inter-connected, with each pillar nourishing the others. The results of research and dialogues obtained in Pillar I will feed into Pillar II and its programme of teaching philosophy, and into Pillar III and its activities on the promotion of philosophical thought. UNESCO will support philosophical analysis and research that would focus on contemporary problems and its concrete consequences to social stability and peace building starting with UNESCO priority programmes. Efforts will be made to encourage thinkers to tackle emerging global problems in order to foster new ideas and research. By supporting reflection by philosophers on the major problems facing humanity today, UNESCO will incite philosophers to play an influential role beyond their traditional academic sphere and participate actively in responding to contemporary problems, thus complementing on-going academic research. For UNESCO, as an intellectual and ethical organization, has a role to play in creating a public space in which dialogue can acquire an authentic international dimension, open to all. This dialogue, nourished by the concepts and ideas produced by thinkers, should also penetrate the realm of decision-makers, and give inspiration to the general public for action. The connection between reflection, debate and action will be re-enforced by bringing together thinkers, policy-makers and civil society. The main challenge will thus be to make a link between research and action. c) Inter-Regional Philosophical Dialogues: Launched in 2004, this programme aims to establish philosophical dialogues amongst scholars of various regions of the world, e.g. the Arab world and Asia, Africa and Latin America, Africa and the Arab world, Europe and East Europe, etc. d) Virtual Resource Centre: A Website containing reference documents, current research papers, on-line discussions and a virtual library would be set up under the section of the UNESCO Philosophy Website to serve researchers, students and scholars in the field of philosophy. These activities will be implemented in partnership with the relevant UNESCO Sectors, NGOs, Universities, Research Institutes and philosophers. The teaching of philosophy contributes to the development of free citizens. It “encourages one to judge for oneself, to confront all sorts of arguments, to respect what others have to say, and to submit only to the authority of reason”. This, in other words, is a `practical training in basic rights' - building the capacity for individuals to have a genuine freedom of thought, freedom from dogmas and unquestioned `wisdom'. It also fosters the ability for human beings to make judgments concerning his/her situation. This is inevitably linked to the possibility for evaluation, critique and choice for action or non-action. The importance of philosophy education was affirmed in 1950 at the fifth session of the General Conference which decided that UNESCO should make “an inquiry into the place occupied by the teaching of philosophy in the different educational systems, the way it is taught and its influence on the training of the citizen” (Resolution 1212). The first survey produced in 1953 under the direction Georges Caguilhem on nine countries was followed-up in 1995, with a more complete survey on 66 countries. However, there has not been a systematic follow-up to the recommendations of the experts on the survey regarding philosophy education. e) To disseminate materials produced by the research activities in Pillar I through CD-Roms and through the Website. These materials can be used as reference texts in order to foster a comprehensive approach to the teaching of philosophy with respect to the various philosophical trends in the different regions of the world (in partnership with NGOs, Universities and Institutions). Popularization of philosophy is essential in developing a democratic and peaceful culture. Linking the knowledge generated in philosophy and fostering independent thought in the minds of the general public is crucial to peace, especially in countries where philosophy is not yet formally taught. Special emphasis will be put on the translation of philosophical works. d) To encourage and promote the translation of philosophical works (in partnership with Research Institutes and Universities). At its 169th Session, the Executive Board of UNESCO requested the Director-General to propose an inter-sectoral strategy on philosophy to be drafted in close consultation with the Member States and their National Commissions, relevant NGOs and eminent personalities. During the discussion in which nineteen countries took the floor, the speakers stressed the importance of philosophical reflection and analysis for all societies in confronting current contemporary problems, and underscored the need for UNESCO to give greater impetus to its work in the field of philosophy. The present document is a result of a two-year consultation process in which all Permanent Delegations to UNESCO, every National Commission for UNESCO, 500 NGOs and 600 universities, as well as approximately 150 independent philosophers and eminent personalities were invited to contribute. Virtual consultations were made in two-phases. First, the relevant stakeholders were invited to contribute by responding to a questionnaire. A draft Strategy was produced in response to the contributions. Second, the draft Strategy was sent to the same stakeholders for comments. This resulted in over a 300 replies, suggestions and comments from 68 countries. In order to establish an inter-sectoral Strategy, two meetings were held with all the Sectors, and a Working/Drafting Group was established. The Group met twice, and reported back to the inter-sectoral meeting with a draft Strategy. Joint meeting with Permanent Delegations to UNESCO and UNESCO's Programme Sectors to finalize the Strategy (13 January 2005). Several speakers highlighted the dire need for philosophical analysis and critical reflection today, and emphasised the need to foster independent and rigorous philosophical thought in the world, especially amongst the youth. Many speakers underlined that UNESCO, as the only agency within the United Nations to have a philosophy programme, needs to strengthen its activities in order to live up to its mandate as the intellectual agency of the UN and to give visibility to its role as such. Many Delegates addressed the necessity of philosophy education at all levels, and some speakers noted the need to sensitise policy-makers on philosophical analysis, thereby nourishing the policy-making process with philosophical thought. Several Delegates stressed the importance of the variety of philosophical traditions in the world and urged UNESCO to consider the philosophical diversity in all societies. Confirm that the development of philosophical debate in education and in cultural life makes a major contribution to the training of citizens, by exercising their capacity for judgment, which is fundamental in any democracy. Philosophy as the free pursuit of inquiry, cannot consider any truth to be final, and encourages respect for the convictions of the individual but should in no circumstances, at the risk of denying its own nature, accept doctrines which deny the liberty of others, affront human dignity and sow the seeds of barbarity. Pr. Ruben G.Apressian (Moscow), Pr. Tanella Boni-Koné (Abidjan), Pr. Tzotcho Boyadjiev (Sofia), Pr. In-Suk Cha (Seoul), Pr. Marilena Chaui (Brazil), Pr. Donald Davidson (Berkeley), Pr. Souleymane Bachir Diagne (Dakar), Pr. François Dossou (Cotonou), Pr. Michael Dummet (Oxford), Pr. Artan Fuga ( Tirana), Pr. Humberto Giannini (Santiago of Chile), Pr. Paulin J.Hountondji ( Cotonou), Pr. Ioanna Kuçuradi (Ankara), Pr. Dominique Lecourt (Paris), Pr. Nelly Motroshilova (Moscow), Pr. Satchidananda Murty (Calcutta), Pr. Ulrich Johannes Schneider (Berlin), Pr. Serracino Inglott (Malta), Pr. Mohammed Allal Sinaceur (Rabat), Pr. Richard Schusterman (Philadelphia), Pr. Fathi Triki ( Tunisia), Pr. Susana Villavicencio (Buenos Aires).